David de Gea or Alisson? Marcus Rashford, Anthony Martial or Sadio Mane? Liverpool host Manchester United on Sunday in the latest Premier League derby between the north-west rivals. Leaders Liverpool are unbeaten this season and 16 points ahead of United, who are sixth, but who would you pick in a combined XI? Who makes Phil McNulty’s XI? This team is hugely weighted towards Liverpool and reflects the current difference in quality between the sides. There were some areas of consideration, starting in goal. Alisson is a fine goalkeeper and has made a significant difference to Liverpool but De Gea, despite some indifferent displays, remains alongside the world’s best and just edges out the Brazilian. Obviously Joe Gomez will not figure on Sunday but if everyone was fit it is no contest to put him alongside Virgil van Dijk in central defence – and even if Gomez was not available I’d be tempted to plump for Dejan Lovren in a discussion that would also take in Eric Bailly. Luke Shaw has claims at left-back but I go for Andrew Robertson based on his consistency over the last 12 months. 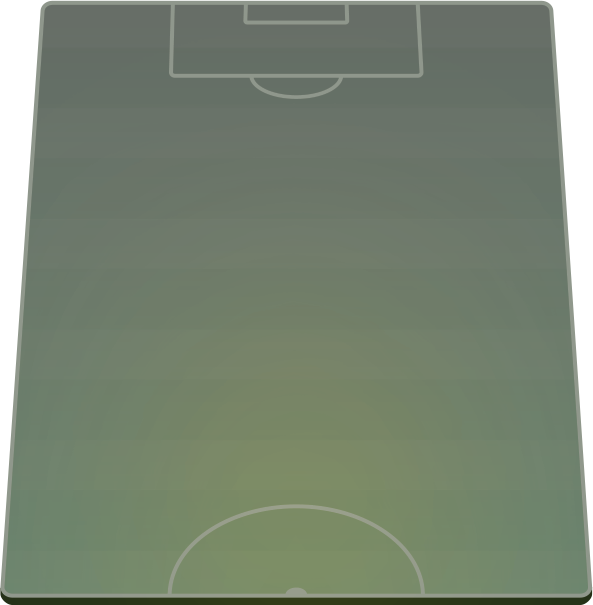 Midfield is a tricky one because both clubs have had their problems in this area in recent times. I’ve gone for that man for all seasons James Milner as the pivot while combining two very talented players in Naby Keita and Paul Pogba ahead of him. Neither have been at their best this season but I’d back them to flourish in this team. Up front was easy – only Martial came into my thinking from Old Trafford but in the end Liverpool’s potent attacking trio made it a simple choice. 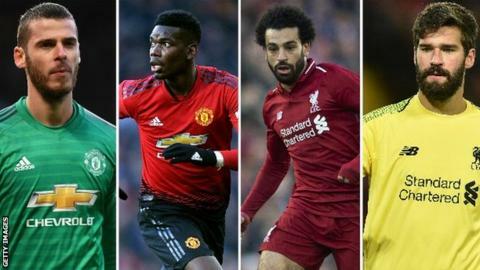 When the two teams met in October 2017 just two Liverpool players made BBC Sport readers’ starting line-up, with nine Manchester United players included. Egyptian forward Mohamed Salah’s six goals had not distinguished him as the goal-machine he has become, with his place going to Romelu Lukaku, who had scored 16 times in 13 games. And with Van Dijk and Alisson not at Anfield back then, Mane and Barcelona-bound Philippe Coutinho were the only Merseyside representatives. While United went on to finish second last term, six points ahead of fourth-placed Liverpool, form and momentum is very much with Jurgen Klopp’s side this season. Salah is already in double figures (12) and the Reds have conceded just six goals – only one of them coming at home. In contrast, Jose Mourinho’s side – which had the second-best defence in the Premier League last season – have already shipped 26 goals. That’s just two shy of the 28 they conceded in the whole of last term, with Martial (on eight) their top scorer at present. Liverpool host Manchester United this weekend in the Premier League. Select your combined starting XI – and then share it with your friends using our team selector.